Jessi Albin was born and raised in New York City. She was always extremely active as well as creative, attending the prestigious School of Arts with a concentration in Fine Art. As a teen she was very into both gym life, as well as, martial arts and yoga. She received her certification in Personal Training and Group Fitness Instructor from the International Federation of Personal Trainers and quickly became one of Crunch Fitness's most sought after female personal trainers and group fitness instructors from 2001 through 2003. She also started competing in the National Physique Committee's Ms. Fitness competitions, where she placed 6th. Seeking a more spiritual connection in the both the world as well as her body, she began to extensively study Vinyasa Yoga and was certified on a 200 hour level with the Laughing Lotus Yoga College and received Registered Yoga Teacher Status under the Yoga Alliance in 2003. 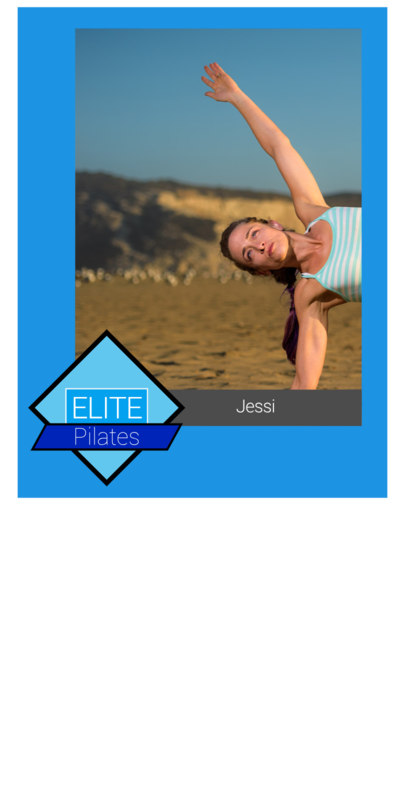 Under the guidance of an Authentic Pilates teacher she found the most complete body conditioning system. The results were amazing to her, both inside and out and after completing 750 hours of an apprenticeship under Romana Kryzonowska and Sari Meijo Santo, became a certified Pilates Teacher in 2004. She has worked with students as young as 12 and as old as 90. She has extensive experience with heart disease, cancer patients, and nervous disorders such as cerebral palsy and fibromalagisa. She has worked with people with all sorts of ailments as well as joint problems, which are so typical in today's society. She especially enjoys working with pre/post natal clients.